Gill Russell was awarded €13.5 million at the High Court today. 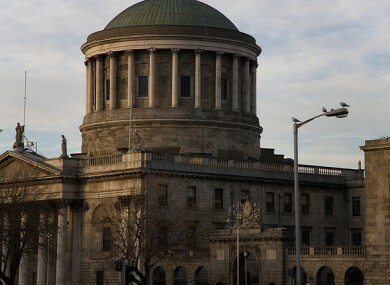 A EIGHT-YEAR-OLD BOY who sustained brain damage at birth has been awarded €13.5 million by the High Court in Dublin. Gill Russell’s injuries mean he is unable to walk, has brain damage and will have to use a wheelchair for the rest of his life. The case today is the largest personal injury settlement ever paid out in the Irish State. The amount of money is marvelous in that we can rest assured that Karen can leave behind all the anxiety about affording care and Gill will be able to achieve his absolute potential now. “Constant review is an absolute imperative within the health care setting. I would hope that this would continue – but even with the best intentions these things are still hard to follow at times,” said Kenny. My beautiful son Gill was born just over 8 years ago in Erinville Hospital, Cork. Unfortunately, during the course of his delivery, Gill was injured catastrophically. Since that date I have had to fight for what he was justly entitled to. Gill is a delightful happy young boy who is an inspiration. I am delighted that Gill and our fight have been vindicated here today. Today’s case could see a change in the way that the rate of return on payments is calculated in similar circumstances. Interest on payments is currently calculated to be around 3% a year. In this case, Gill’s solicitor successfully argued for the interest to be taken as being 1% year-on-year. Gill was born at 8.36am on the morning of 12 July, 2006 in Ernville Hospital, Co Cork after a number of complications. In the course of the birth he was unable to pass out onto his mother’s pelvic bone – causing a severe shoulder dystocia meaning his mother was made to undergo symphysiotomy. After his birth Gill was transferred to Cork University Hospital where he was held for two months. He will never be able to walk or have the use of his arms but is able to communicate through the use of eye movements using a specialist computer. The HSE and Cork University Maternity Hospital admitted liability for the incident two years ago. Today’s hearing was to decide on the amount to be awarded. At the time the case was adjourned with an interim payment of €1.4 million. Email “Biggest payout in the history of Ireland made to Cork boy brain damaged at birth”. Feedback on “Biggest payout in the history of Ireland made to Cork boy brain damaged at birth”.